Home Latest news Senate leader Lawan backs Buhari on decision to withhold assent on the Electoral Act (Amendment) Bill 2018. Senate leader Lawan backs Buhari on decision to withhold assent on the Electoral Act (Amendment) Bill 2018. Senate Leader Ahmad Lawan says there is nothing to worry about in President Muhammadu Buhari’s decision to withhold assent on the Electoral Act (Amendment) Bill 2018. 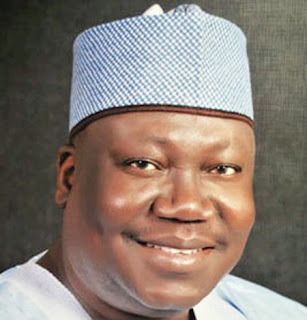 Lawan told the News Agency of Nigeria(NAN) in Abuja that the Electoral Act (2010) was good enough for the conduct of the 2019 general elections. He said the President’s decision should not be misinterpreted, adding that it was done in the interest of the country. “That the President declined assent to the bill was no big deal,” he said. “We can still use the Electoral Act, 2010, that was used in 2015 general elections. “This is to allay the fears of the citizens, who might think that the 2019 elections would not be well conducted without the amendment. “What we need to do is to look at the few lapses, especially in terms of administration which does not need any legal backing. “INEC conducted a very good election in 2015 with the existing act. “So, I believe that we can use that and nobody should start thinking that the elections will not be free and fair. “The 2015 elections were free, fair and transparent. All over the world, we were commended for conducting such a credible election. “It is not like the current act is so defective that we cannot use it,” he said. The leader said the bill could be worked on, to be used in elections beyond 2019. He pointed out: “If we cannot use the current amendments in 2019, who says we cannot use it in the 2023 elections and elections in between 2019 and 2023.